Talking about big and deeply felt -and shared- emotions; you will find them here on Julien Baker's second album, following her debut album from 2015 'Sprained Ankle'. She isn't a new name on this blog. 'Sprained Ankle' was reviewed by Erwin Zijleman (read here: http://wonomagazine.blogspot.nl/2016/03/sprained-ankle-julien-baker.html). I understand now that I really forgot to do something in 2015, listen to it and hereby promise to catch up soon. Turn Out The Lights starts with a sort of overture where an electric guitar motif is mixed into sounds announcing 'Appointments'. An empty song, more atmosphere than song. That guitar keeps repeating the same few notes. A piano plays a sparse note and somewhere in the background is the echo of the guitar. All else I hear could be nothing but imagination. Julien Baker sings over the emptiness; and than something strange happens: The moment I'm typing the word emptiness, Ms. Baker sings "and maybe the emptiness is just a lesson in canvasses". All that emptiness around her voice is nothing but a recording studio waiting to be filled by the sound of instruments. All instruments are switched off. It's just Julien Baker, several of her actually, coming to me from all sides. 'Appointments' is an introduction if not a song of intent setting a bar for all other songs to cross. Ms. Baker is not afraid of laying her soul bare and her way of singing makes me think of the despair in the voice of the female singer calling herself A Fugitive on her first EP 'Coincidence'. Their approach to music is diametrically different. The outcome is somehow similar no matter how different in sound. Other names that spring to mind are Angel Olsen and Torres. Even Pink can sing some of these ballads and turn them into #1 hit singles. Julien Baker creates her own mood. Setting aside all effects she presents herself at the bare minimum. Just loads of reverb on the guitars and her voice. That seems to be all she allows herself. No percussion, no bass. There's nothing there she doesn't play herself, piano and keyboard. 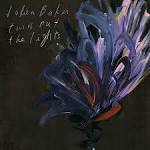 Turn Out The Lights is an album where everything turns around Julien Baker. If you do not like her for some reason, there's nothing left for you to like instead. The bare essentials. It even comes as something of a shock when an organ joins 'Televangelist'. What is happening here? Turn Out The Lights is not an album for all days. In fact I'd recommend listening only when sound of mind and full of good will. It's not the kind of album to play when your favourite team just lost; or worse. There's no comfort here. Just a stunning beauty of a bleak, sometimes dark nature. That and a strong voice. A voice that can lift you out quicksand or deliver someone at the other end of the night. But don't expect to be saved. That part Julien Baker leaves you to figure out for yourself. At 22, people ought not to expect that from her. At 33, who knows. Turn Out The Light has a tendency to capsize as it is top heavy. Julien Baker does not let room for light, to breath, to rest. The listener gets all of her demons all at once (and in one tempo) and has to deal with each and every one on his or her own. The presentation is honest, straightforward, but top heavy none the same. It makes the offered album hard to swallow and to digest. All in all it is impressive and that settles the score for now. One album like this one is enough though for today and probably the rest of the year.